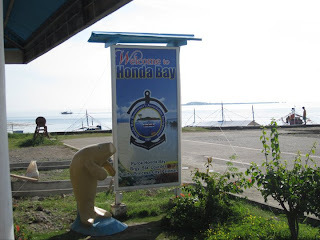 It was our last day in Puerto Princesa and we didn’t wanna leave the city without seeing the famous islands of Honda Bay. As some would say, save the best for last. 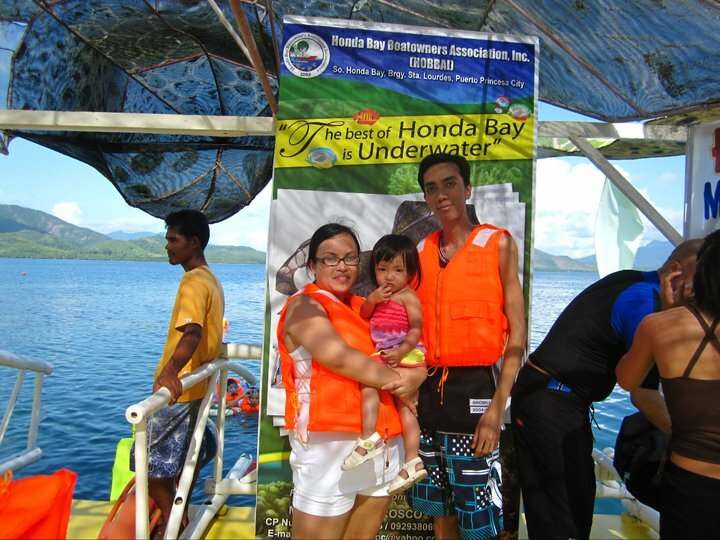 Sis Tiara (Cha) of Girltalk helped me arrange our Honda Bay tour and Dos Palmas day trip. She texted me the night before that the shuttle would pick us up from the pension house at around 7:30 am. So we had early breakfast again and waited for our shuttle. At around 7:45 am, the shuttle arrived. We were a group of 10 in the van, with 2 foreigners onboard. At about 8:30 am, we had already reached the wharf. 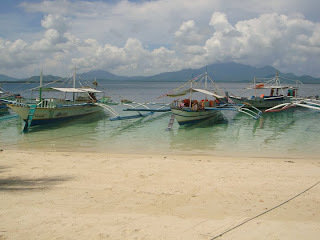 We waited for our boat and departed at about 9:00 am. The first two islands we saw were the Bat and Cowrie Islands. 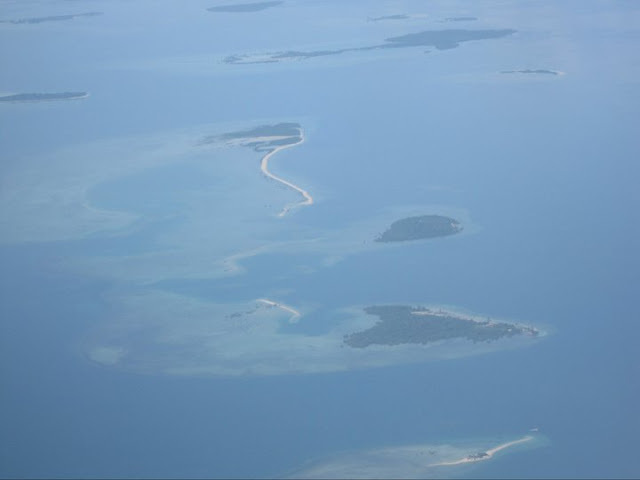 We just passed by those islands because our guide says the beach there are not that nice. 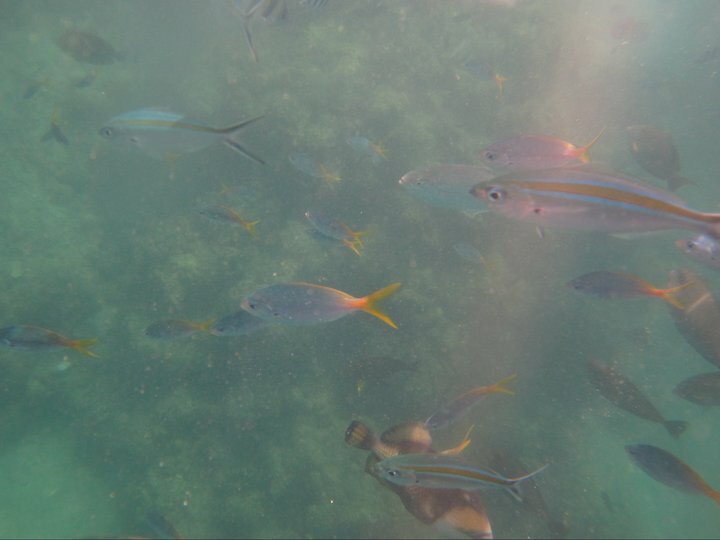 The next stop was the Pambato Reef. 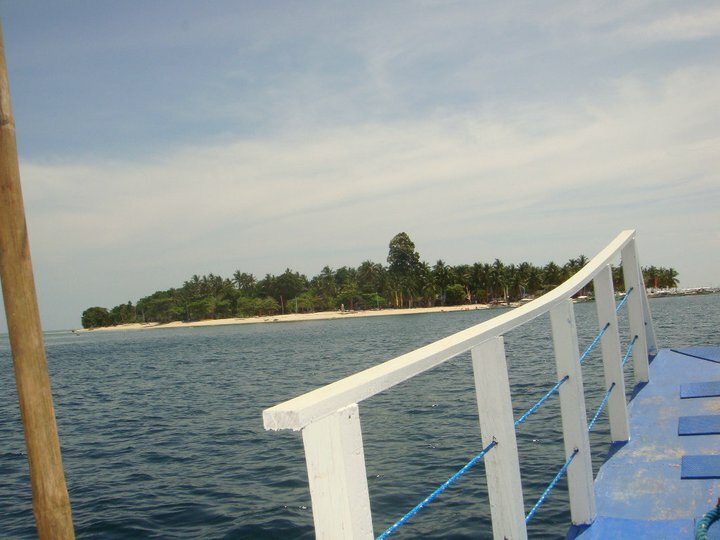 I must say, this is the scariest moment of my life as we had to pass through a floating bamboo bridge over the water with no island around. 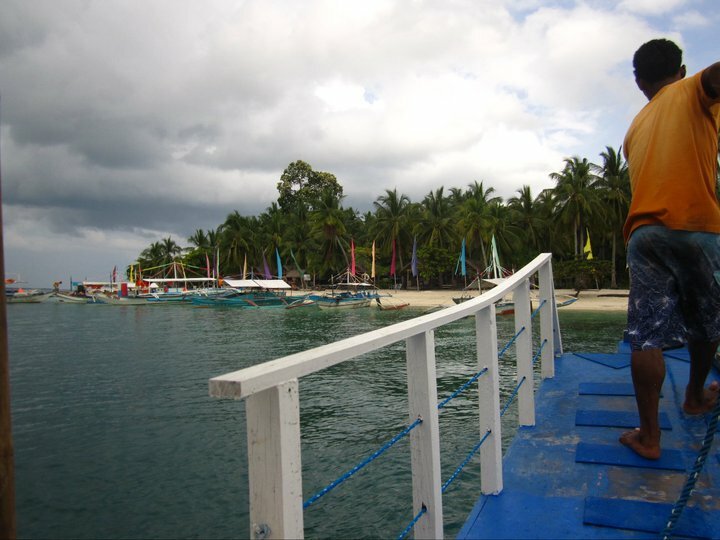 As I am afraid of heights and depths, I am really trembling while crossing the bridge towards the floating kubo. The boatman assisted me when he saw that I was damn nervous. But the scary challenge was worth it. 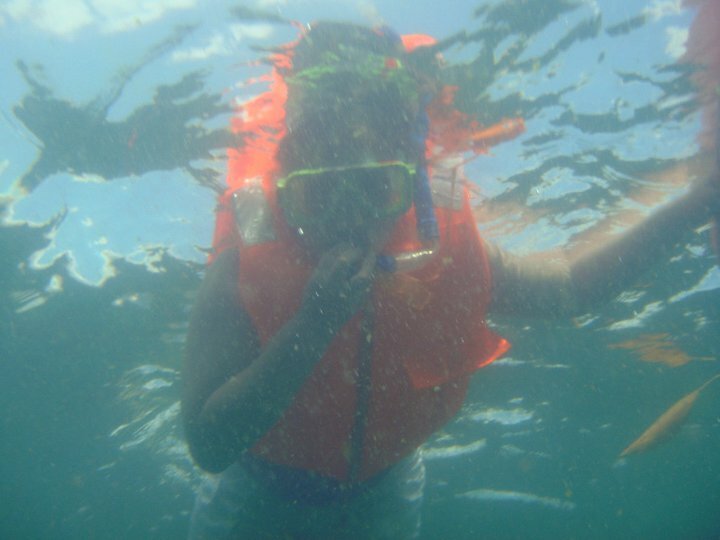 At first I didn’t want to snorkel because again, I am afraid. So hubby tried it first. He went up to the kubo with a big smile on his face. 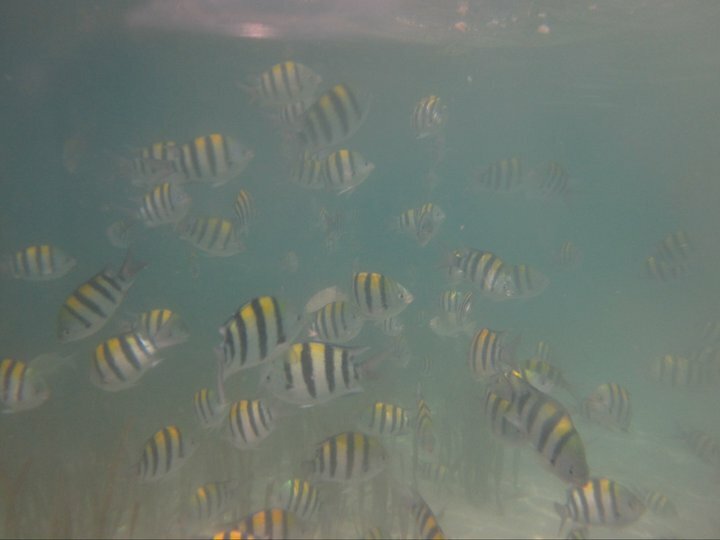 He was so eager to show me his underground photos so I envied him and asked a boatman to assist me while I was snorkeling. Alas! This is the first time I snorkeled! And now I am getting addicted to it. 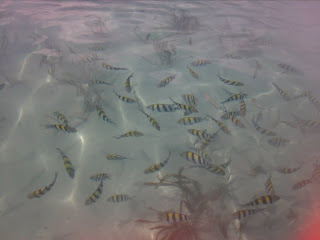 The corals were not that astonishing but the fishes were so cute! And it was really wonderful to see whats’s under the calm sea. After an hour in Pambato Reef, we headed to our next destination, Snake Island. 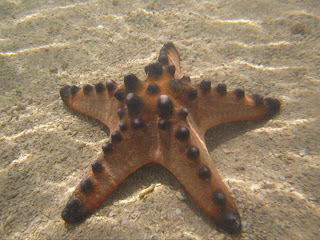 En route to Snake Island we saw the Starfish Island. 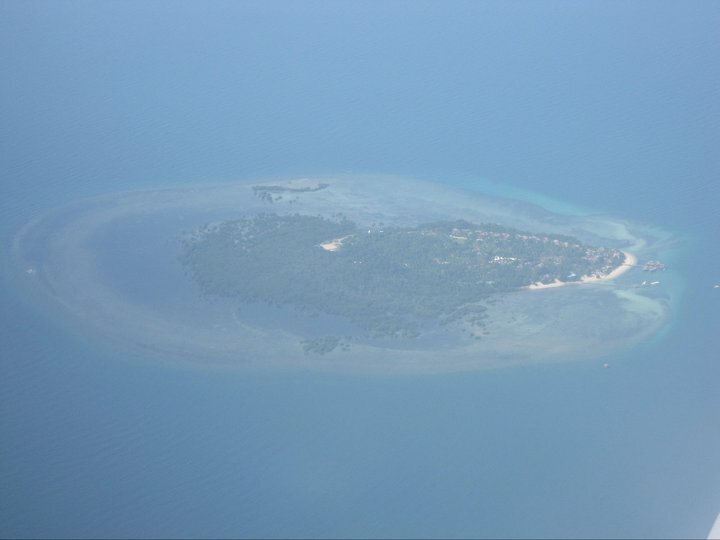 Snake Island is a mile long sand bar with a shape like a snake because it is where the waters of opposite currents meet. The island is popular for snorkeling, fish feeding and beach bumming. 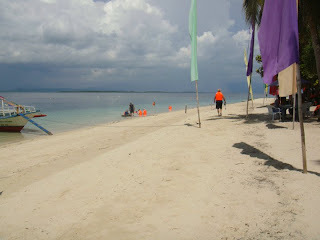 So we wasted no time and hit the beach as soon as we put out stuff in our cottage. The fishes here were bigger and more colorful. 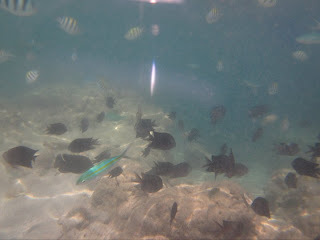 My baby and I enjoyed feeding the fishes with bread that we bought from the wharf at Php 15 per pack. My husband enjoyed taking underwater photos once again. 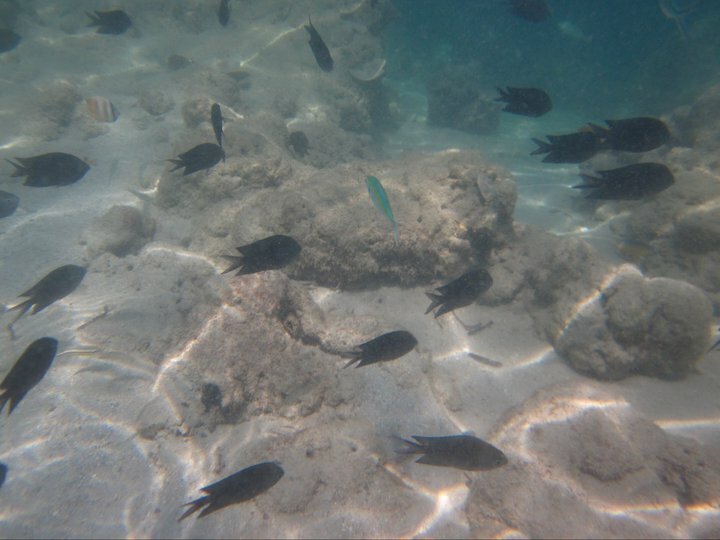 I was getting really addicted to snorkeling that I would like a snorkel and mask for Christmas, aside from the underwater digicam! While we are swimming, our tour guide prepared our lunch and called everyone up at 12 noon. The food includes squid, shrimps, grilled pork and fish and fried chicken. We ate without fork and spoon so that we could really feel the island life. I ate a lot! The food was so yummy. 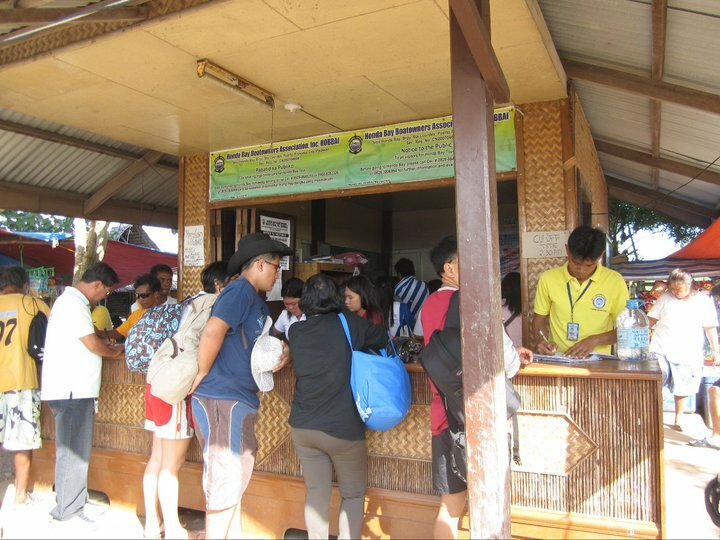 After eating, we were given another hour for swimming and we left for the next destination. 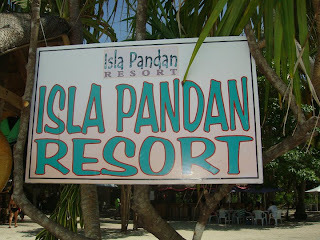 Our last destination was Pandan Island. 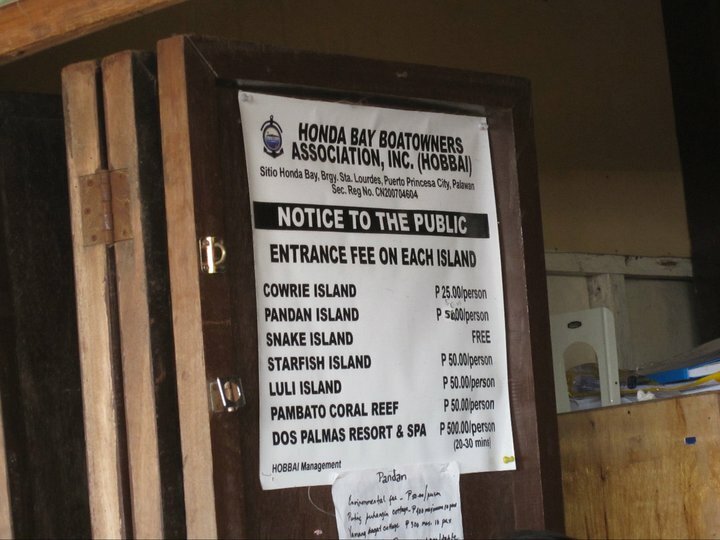 Here, there were big cottages, umbrellas, tables, even a bar and restaurant that offers halo-halo and fresh buko juice and a la carte lunch like grilled fish and pork belly. 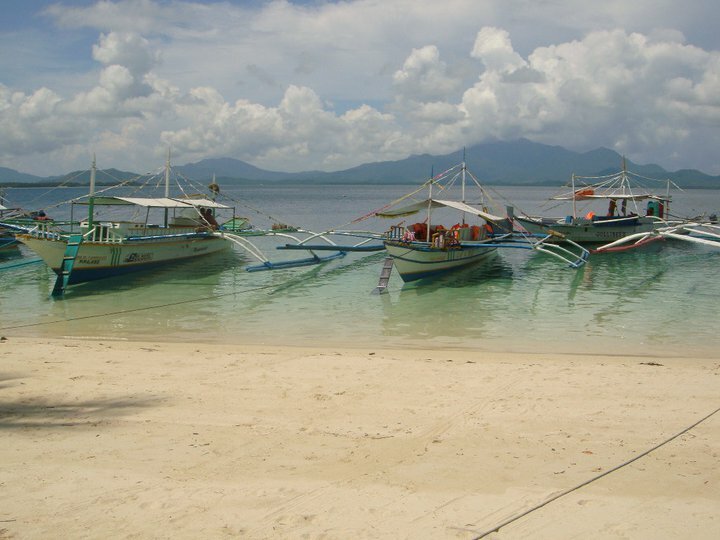 I like this island more than Snake Island because it has the feel of a resort where there were more trees to keep you from the harmful rays of the sun. It also has shower rooms. The sand here is finer than in Snake Island. 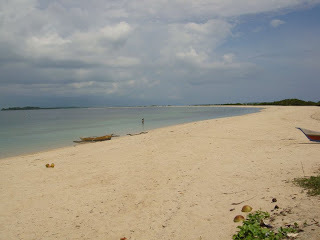 The sand in Snake Island is like in Dos Palmas, white but not powdery. 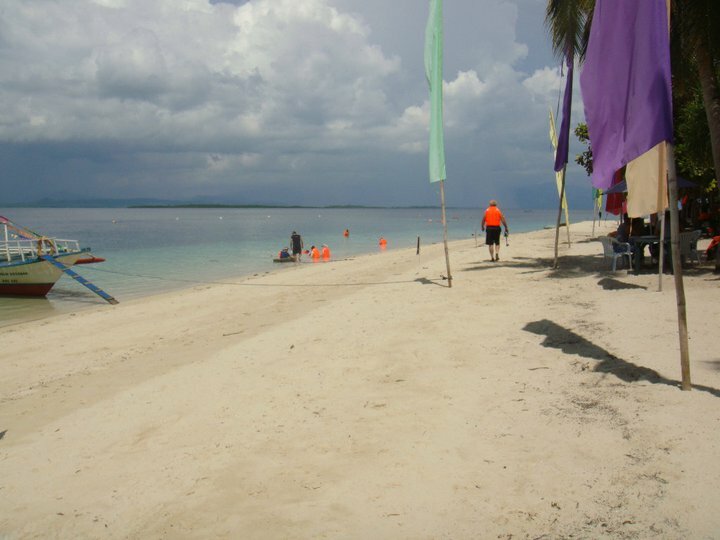 In Pandan Island, the sand is closest to Boracay's, only a bit coarser and darker. I wish I could stay here longer. On our next Palawan trip, I’ll surely visit Honda Bay again and try Underground River. 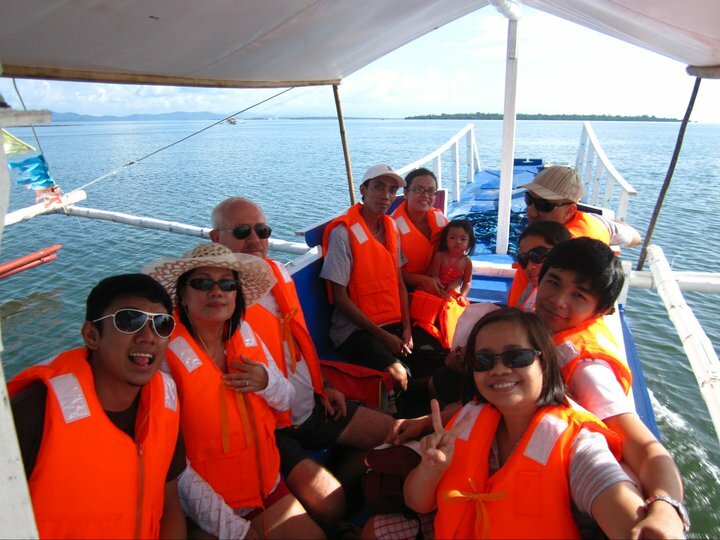 After we all get sunburned, we headed back to the wharf and bid goodbye to the beautiful islands of Honda Bay. On our way to the wharf, the rain fell really hard. It made me panicked once again but thankfully we arrived safe. 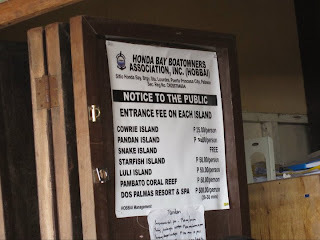 After our Honda Bay Tour, we were brought back to our pension house. Liberty Park Pension was so lenient with check out times that we even got to shower and rest for a while before going to the airport for our 7:35 pm flight to Manila. At 7:00 pm, we boarded the plane and officially ended our Palawan trip. 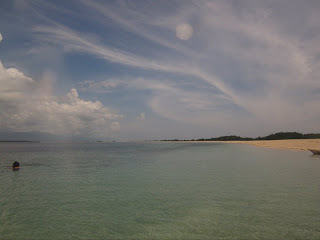 I really do hope I could get back again and explore the other places in Palawan.